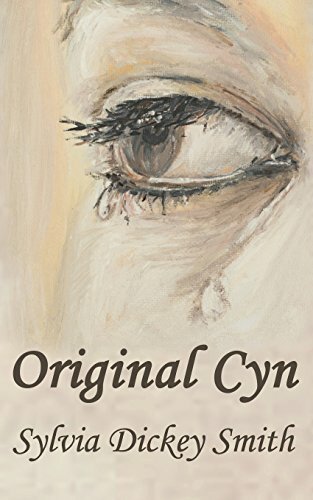 “Original Cyn” by Sylvia Dickey Smith is a very creative title that goes along with a well-written, descriptive book about abuse, abuse of those in the church, and our inner souls. It is very in-tune to people stifling someone’s creativity and passion in order to serve their own needs. Cyn is married to a Southern Baptist preacher, who expects her to keep up appearances, and has no allowance for error. He will not settle for anything less. He frequently states, “If you make changes, you will be on your own.” He also made her change her name to Cynthia, as he felt Cyn sounded trashy. With the couples’ son grown and away at college, Cyn’s husband has more freedom to verbally attack her and make more demands on her time and choices. He expects her to become more involved in the church and let her personal needs go to the wayside. For years, Cyn followed his directives without little thought to her wants and needs. The congregation expects a preachers’ wife to act and dress a certain way, yet Cyn just can’t seem to please any of them no matter how hard she tries. She feels that the church is filled with those who put up a good front, but in their own way are conniving and mean spirited, and only want things their way. Of the entire congregation, Cyn has only one friend, while her husband is admired and loved by all. Her friend has her own agenda, however, and that is to conquer the pastor in bed. Her other sometimes friend, Ginger, has a husband with his own agenda, as he is in love with the pastor. From the very first page, the author captures your attention, as she is clearly very invested in her characters. You love or hate them, and several will remind readers of some people they have met or know. Readers will experience many emotions while reading this book. The author does an excellent job on covering topics that a majority of people shies away from. This reviewer many times had to exclaim, “How dare he/she?” There were several times I just felt I wanted to slap some of the characters. This is a great indication that the author has drawn you into to plot. Very few authors can approach these topics in a way that Smith has done. “Original Cyn” is the first book I have read by Sylvia Dickey Smith, but I will certainly look for more of her works.